We spoke a few months ago about winterizing your sprinkler system before the frigid temperatures set in. Now that winter is officially here, we hope that you’ve taken the time to call us to help prepare your sprinklers for the colder months. 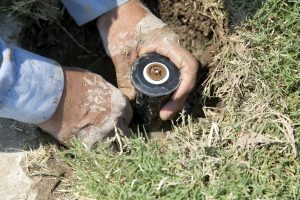 If you haven’t, and you’ve already experienced damage to your lines or heads, Advanced Landscaping and Sprinklers can help with sprinkler system repair in 80521 and the surrounding area. Sprinkler heads can become damaged for several reasons. If they don’t retract completely, someone could trip over them and not only hurt themselves, but break the head. Perhaps you hit it with the mower during your last go-round this fall; whatever the case may be, the team at Advanced Landscaping and Sprinklers can install new connections and lines, allowing each sprinkler head to do its job and water your entire yard. If you’ve noticed that the heads are spraying water like they should be, chances are the lines have become clogged with something and we can come perform a blow out to clear your system of debris. If you still want to winterize your system, don’t hesitate to call us right away. If we’ve taken care of it already, but you have other ideas for sprinkler system repair in 80521 come springtime, we’ll be ready to help you. If you don’t have a sprinkler system, but think that your landscaping could benefit from one, we’ll gladly discuss your options with you. Before you know it, you’ll be enjoying a lush, green lawn all summer long.